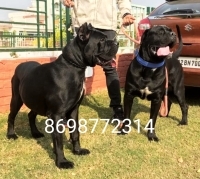 Shining Star Kennel: A wonderful healthy litter of Show Quality Cane Corso Puppies available for sale. Sire: Boss The Marker (Imported). Dam: Mathlee (B.I). Puppies are true to type with good conformation. 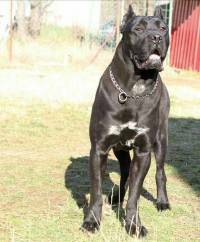 Click here to view litter box, Photographs of Puppies, Sire, Dam. For more details contact: Mr.Vipul Goel, Ambala City, Haryana. Mobile: +91-82959-59090. They are Healthy and have Ideal Bone Structure. 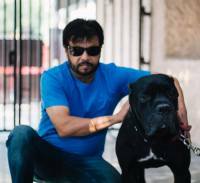 KCI certificates and microchip shall be provided. Click Here to See Litter Box, Photographs of Puppies, Sire and Dam. 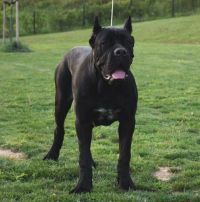 Harry Labana Kennel Offers Amazing Show Quality Cane Corso Puppies, with KCI Registration and Microchip. Puppies are Healthy Active and Outstanding. Both Parents Imported. 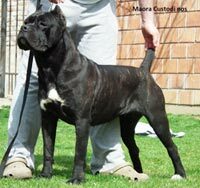 Depasha VP Kennels announces an Exciting Litter of Cane Corso Puppies from Parents Imported from Europe. Father is an Indian Champion with 8 CCs and BOBs. Mother has 4 CCs and BOBs. 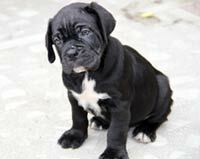 Puppies can be sent to most Metros with direct Airline Connections. Puppies are healthy, will be vaccinated. KCI Registration Papers will be provided. 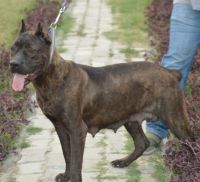 Click Here to See Litter Box, Photographs of Sire, Dam and more details. Contact: Mr.Vijay Mohite: +91-98812-32387.